Published by Joshua Clare-Flagg on 21 May, 2014. 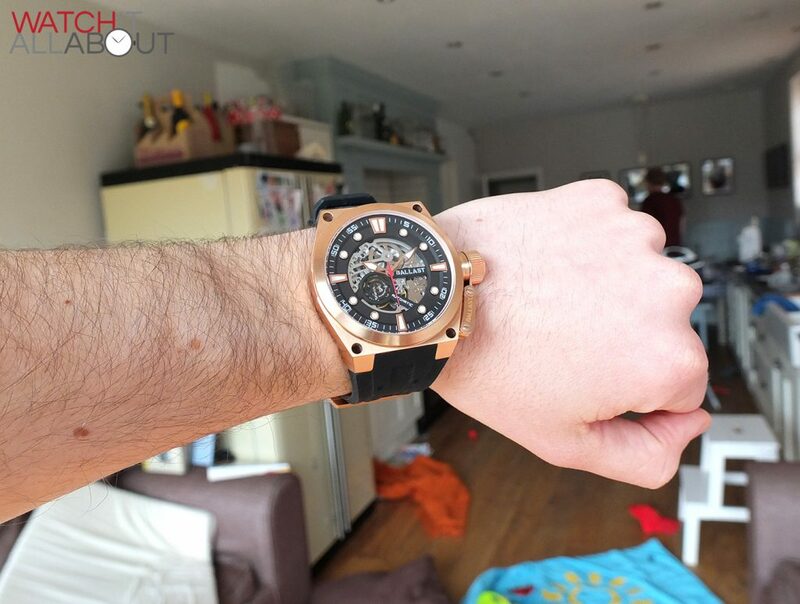 Oversized watches have become more and more popular recently. 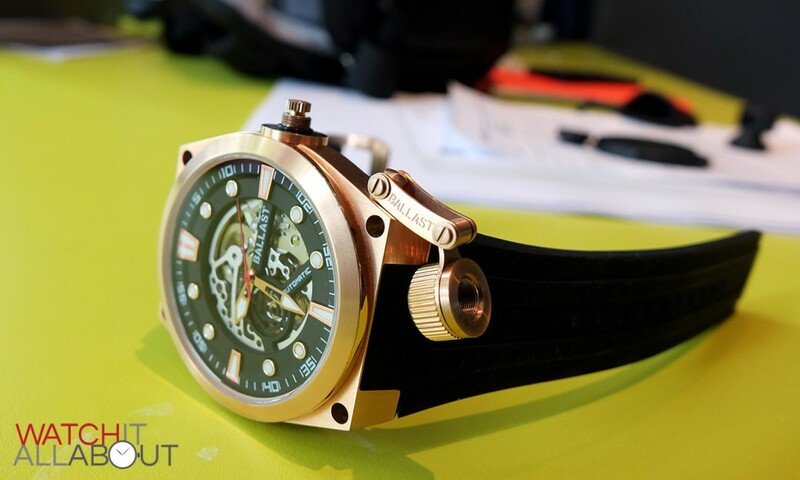 People want large watches as they demand lots of attention and look impressive. Well, the Ballast 1903 Valiant BL-3105-02 does just that. 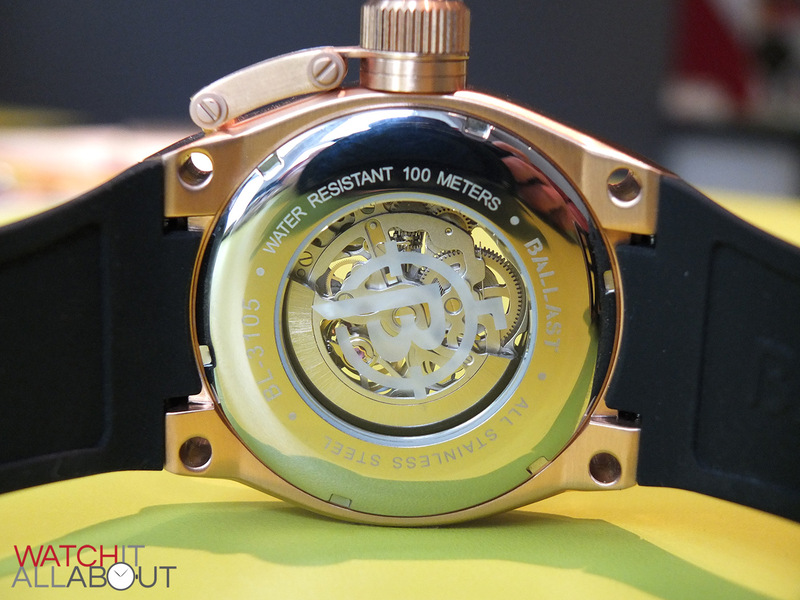 But not only is it huge, but it’s also gold, and has a skeletonised movement. 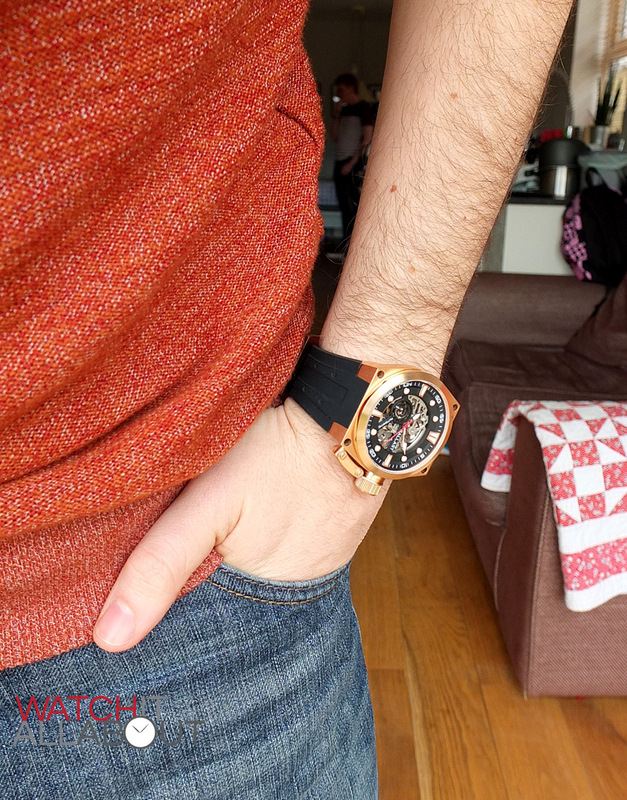 I’m pretty sure this watch isn’t for everyone, but if it floats your boat, then let’s take a closer look – as it’s a surprisingly nice watch. 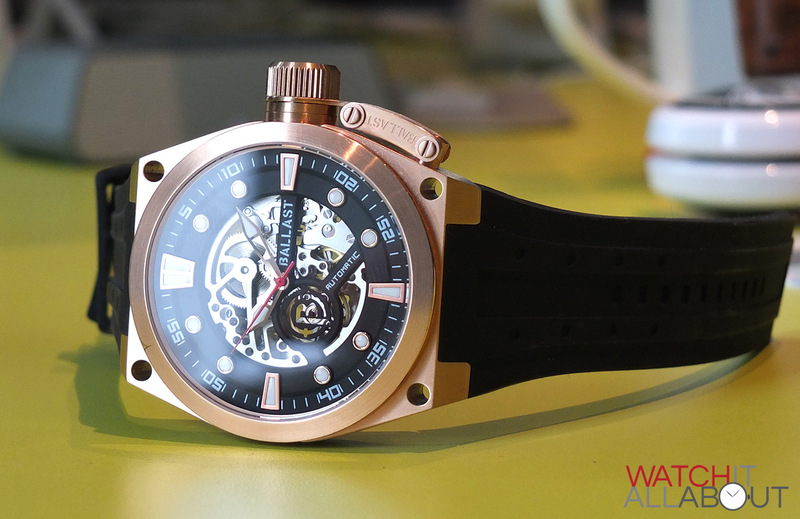 The case is a whopping 47mm diameter, so it’s not a small watch by any means. It also packs a meaty 54mm lug to lug length and 13mm height. 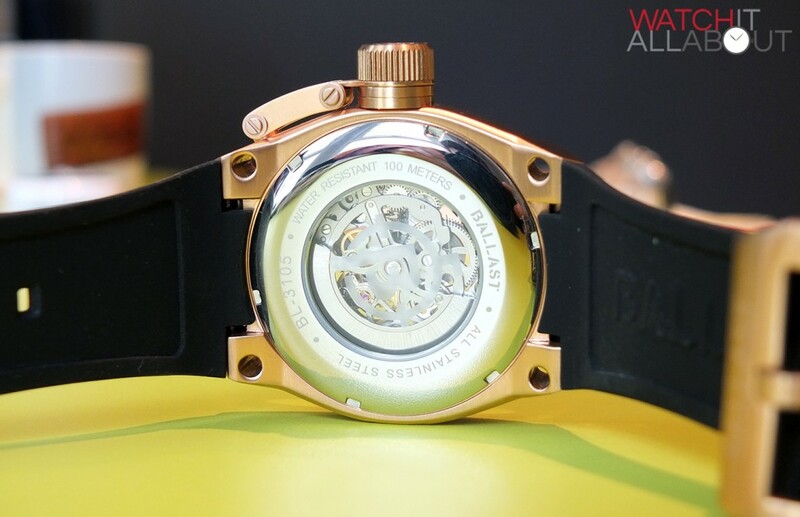 The shape of the case is dominated by the angular lugs, proving a very aggressive appearance. These sharp angles have thankfully been well machined and are smooth to the touch, otherwise it could be used as a dangerous weapon. The canteen crown is an obvious feature of the Ballast 1903 Valiant. It looks unusual, and gives the case an interjection of creativity. 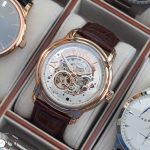 It operated very well, the screw threading being very good, and the arm which holds it to the case is well made and rather intricate. 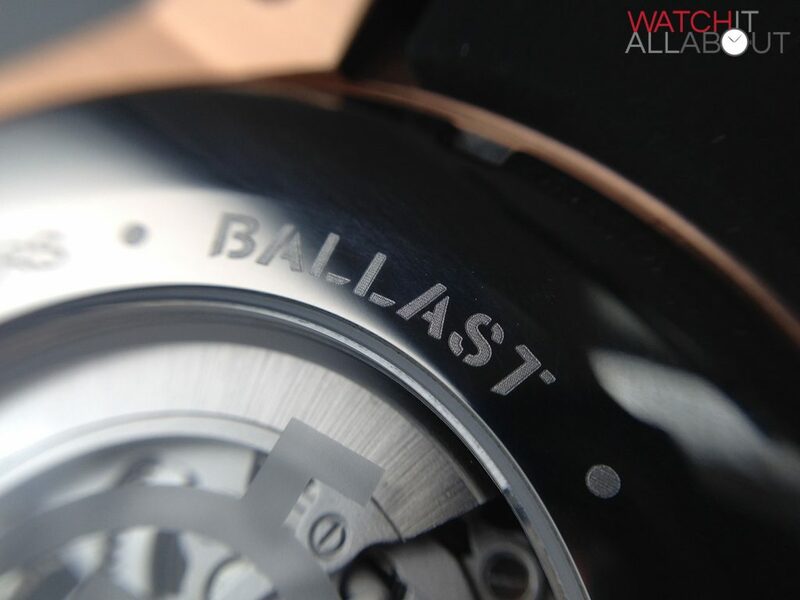 I like the Ballast name engraved in the top of the arm, and the logo engraved at the end of the crown. Both engravings are of very high quality and reassuringly deep. These can collect dirt though due to the depth of the engraving. A nice little feature is the four holes in each corner of the case. Obviously they don’t serve any sort of purpose from a practical standpoint, but they look good and break up the large outer shoulders of the case well. 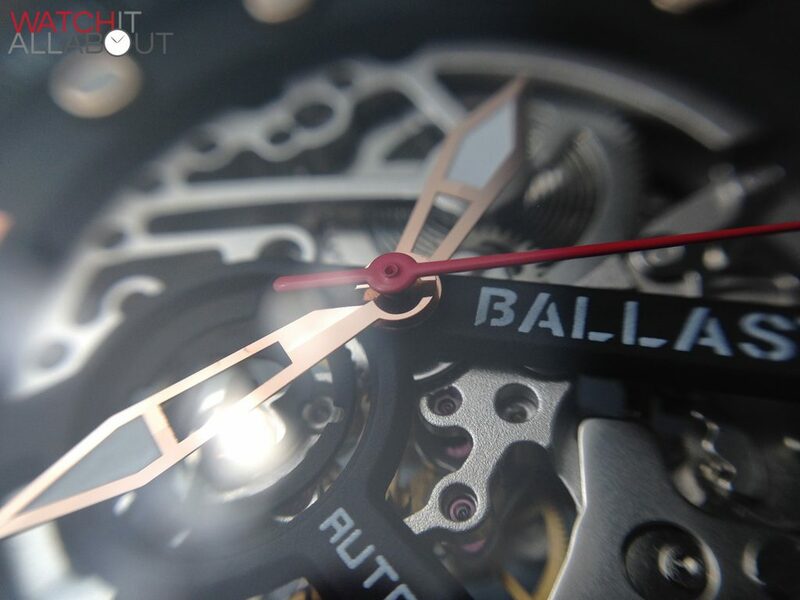 Sitting atop the case is a sapphire-coated mineral crystal. They’re a bit harder than mineral, but not as hard as full sapphire. 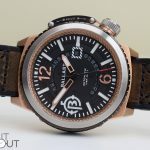 Obviously it would have been better if it was a full sapphire crystal, especially being you can get watches nowadays at a third of the price of the Ballast Valiant with them. But anyway, the crystal is flat, very clear, and with an effective layer of anti-reflective coating on the underside. 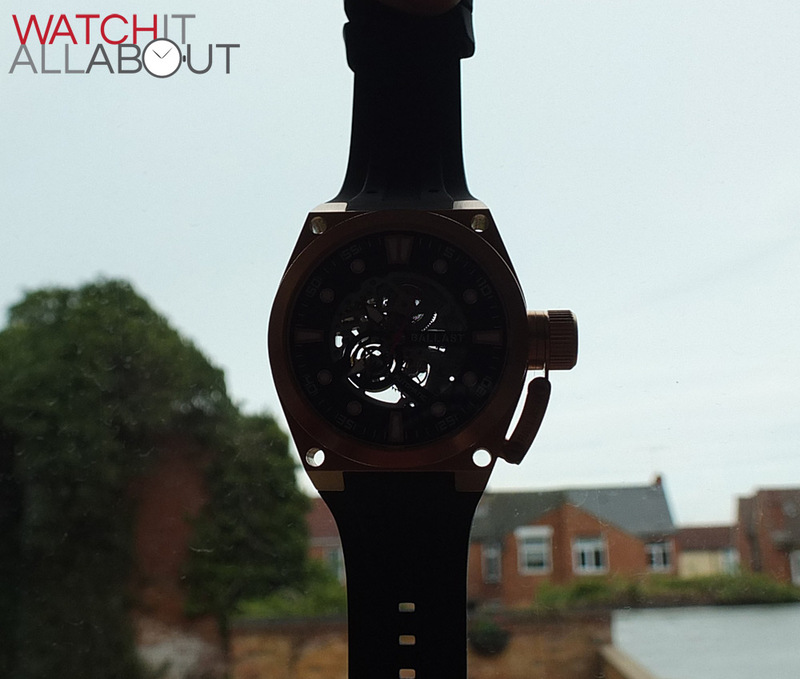 This works remarkably well to reduce glare and reflections, which improves the overall appearance of the watch. 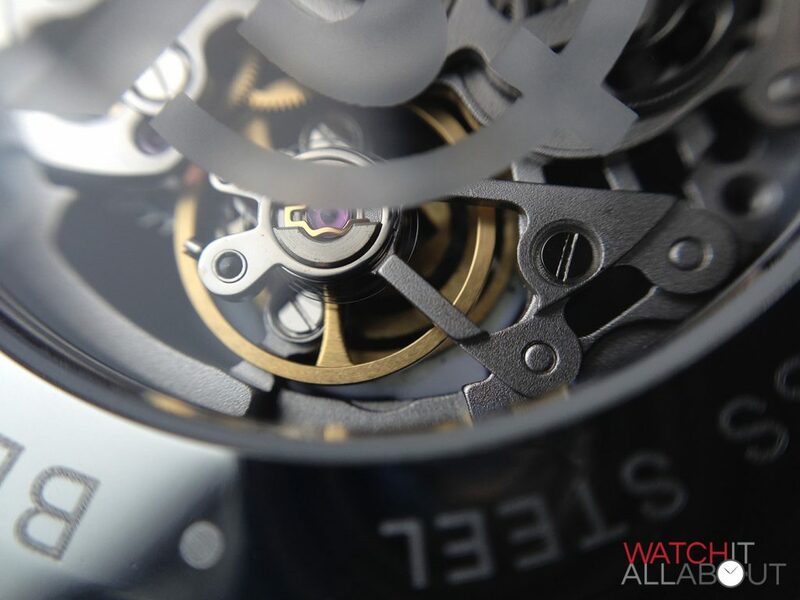 The general finishing of the case is very high quality, as you’d expect of a watch at this price. 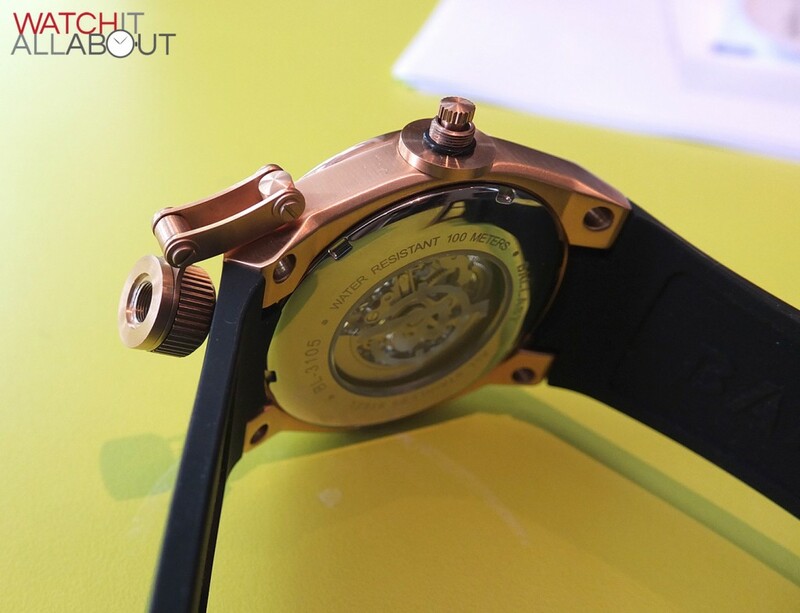 The gold plating is good too, it feels high quality to the touch and gives the impression it will last some time. 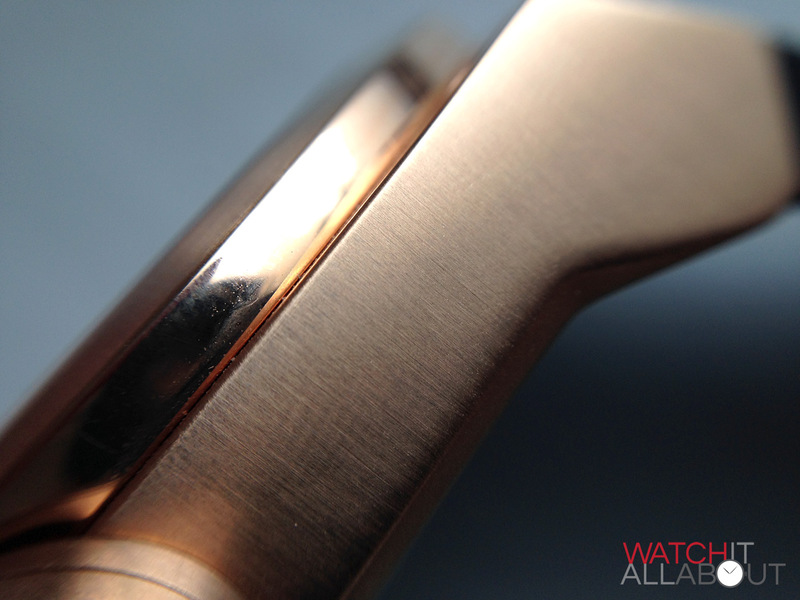 The whole of the case is a brushed finish, bar the outside edge of the bezel, which is polished. This small shiny segment does a good job in keeping the case interesting and breaking it up. There is also a slight indent in the side of the case at 9. This is another small design feature of the case to keep things interesting. All these small little things are of vital importance to the case; it could have easily been a large slab of gold plated steel, which would have looked very gaudy and distasteful. But, with it being largely brushed, and with it’s little features, it does a good job of being able to pass it off and look acceptable. 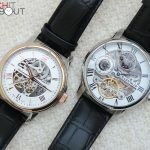 As I’m sure you’ve noticed already, the dial is mostly taken over by the skeleton movement. More on that later, but it looks good and is appropriately finished for the style of watch. The hands are probably the one thing that I think could so with the most change. Firstly, they look slightly out of proportion, being a bit too small. Secondly, I think they could have been of solid construction rather than being a skeleton design, as this would increase legibility. Personally, I haven’t noticed too much difficulty in reading the time, but I believe a few people have mentioned this. Finally, I think the red second hand is a little out of place. 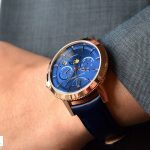 I understand that it needs to be a bold colour to be able to be seen, I just think that it’s colour doesn’t quote go with the watch as a whole. The hands are all very well made and finished. 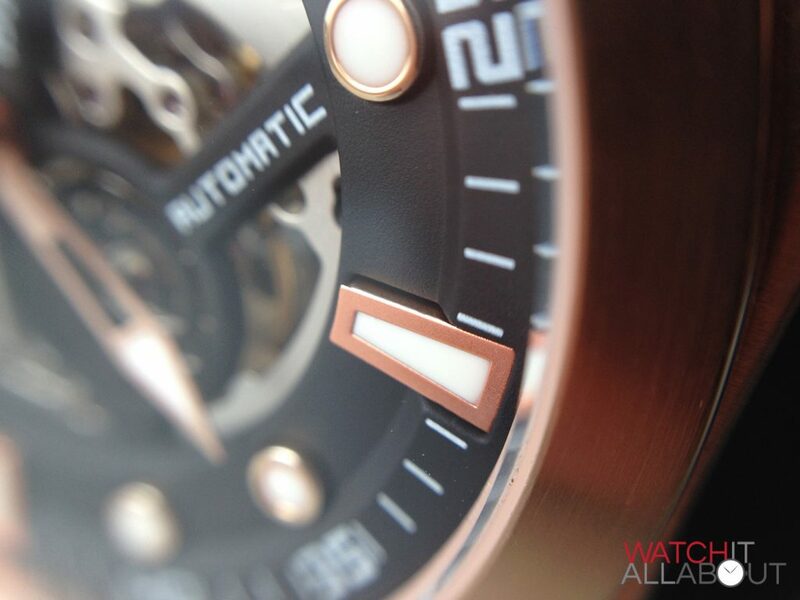 The hours and minute hands are polished gold with a lumed triangle at their point. The second hand is a shiny plastic, which I believe would have looked nicer if it was a metal. 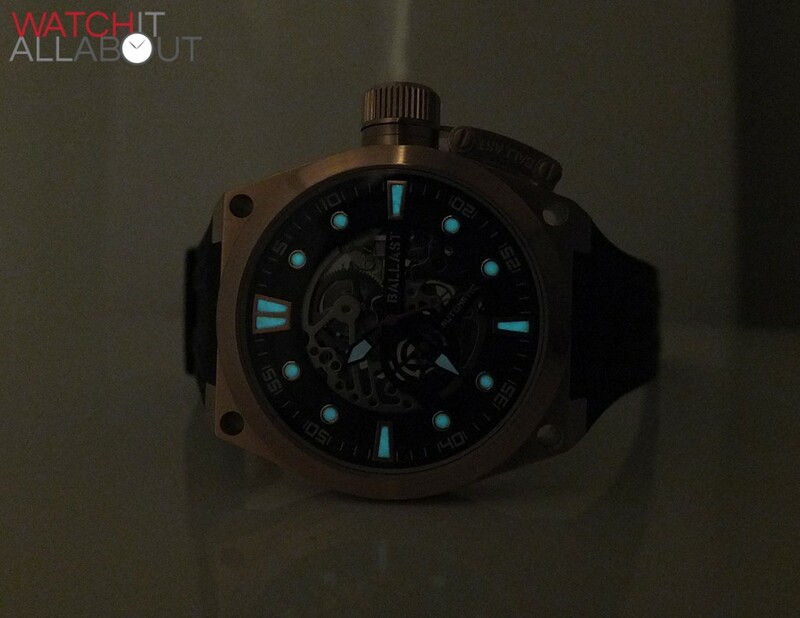 The lume used on the hands and hour markers isn’t the best, but it’s not as if it’s completely non-existent either. It charges as you’d expect and you can see it for a short whole in darkness, albeit rather weak. 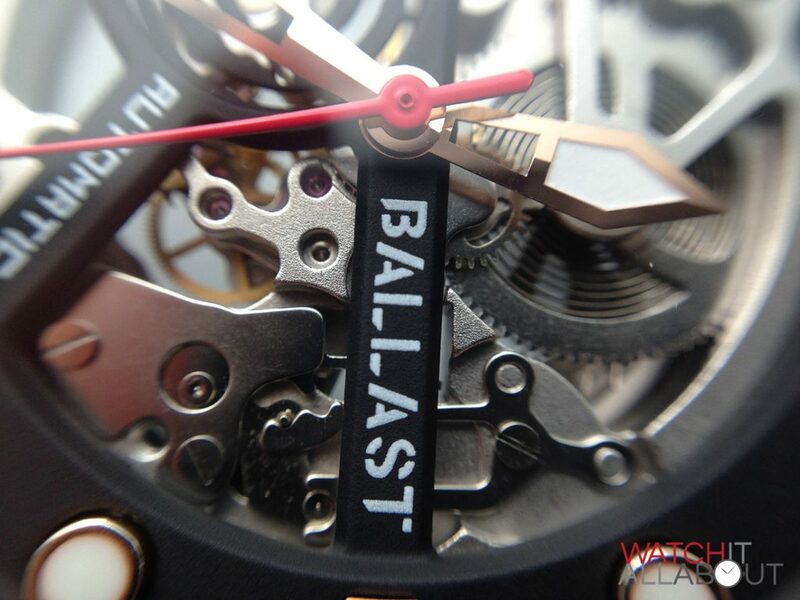 On top of the movement is a black plastic detail with thin strips with “Ballast” and “automatic” printed on. 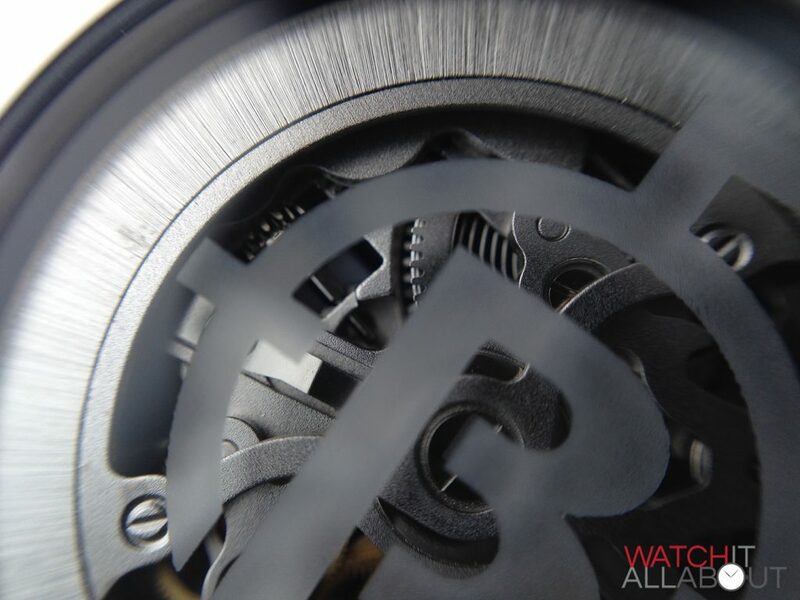 It also features the logo moulded above the balance wheel. Surrounding the movement is a large outer index, with a minute track and applied hour markers. 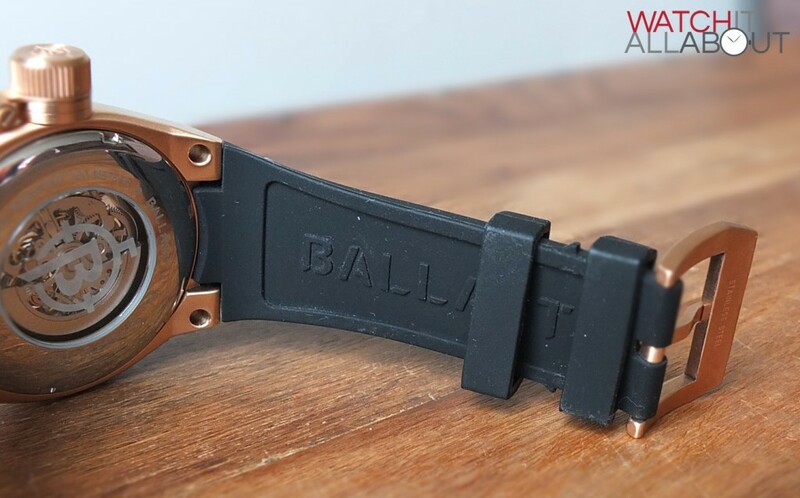 I like what Ballast have done with this, as it enlarges the dial past the size of the movement in an effective but practical way. 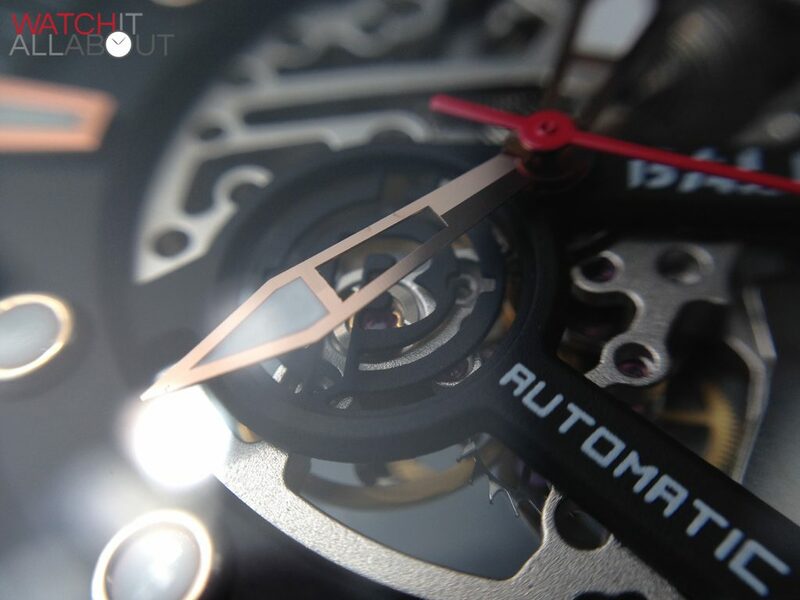 It is two-layered, with the outer minute track being higher than the inner track with the hour markers on. The minute track is quite bold, with large printed white lines at every minute, and a large, chunky number at 5 minute increments. 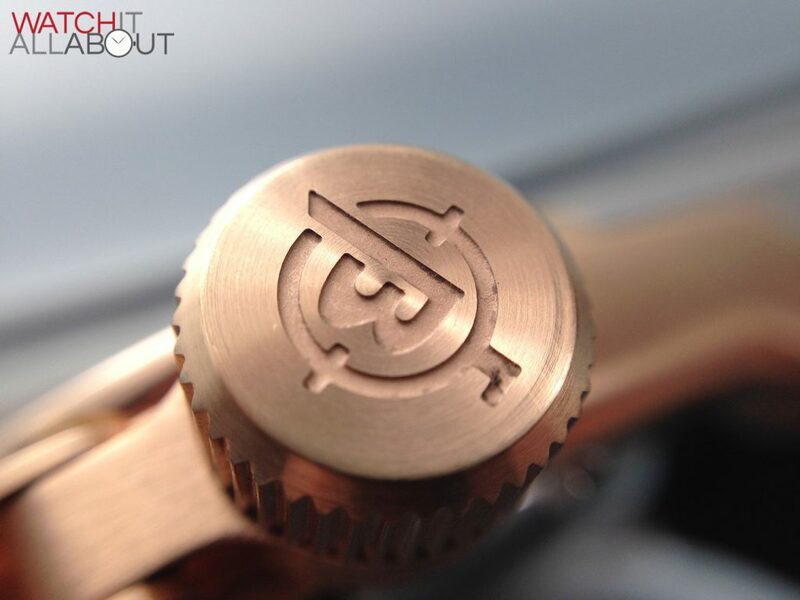 Moving on to the lower level, the hour markers are perfectly applied and very well made – they have polished gold edging with lumed centres to match the hands. The markers at 12, 3, 6 and 9 are trapezoid shaped, whilst the remaining are circular. The marker at 12 is larger, with a divider down the centre. 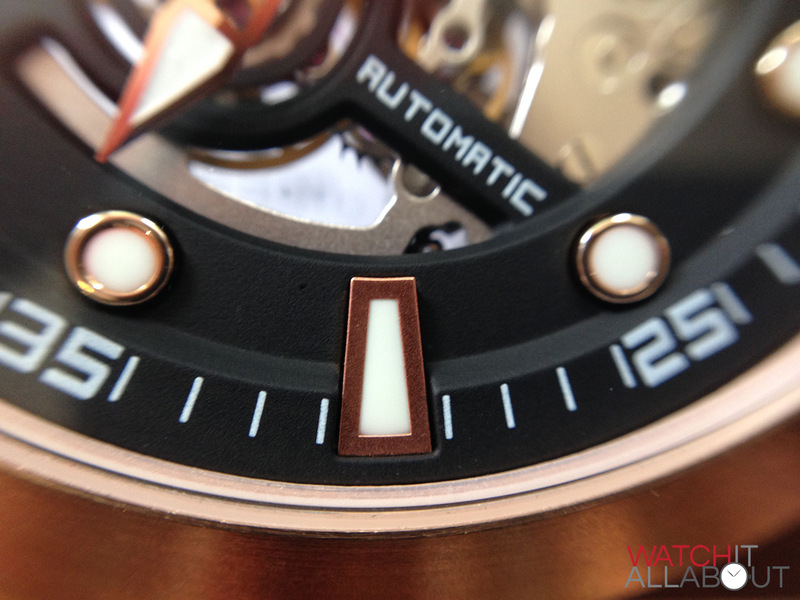 To conclude, the dial is nicely designed and well manufactured – if only the hands were a little different. 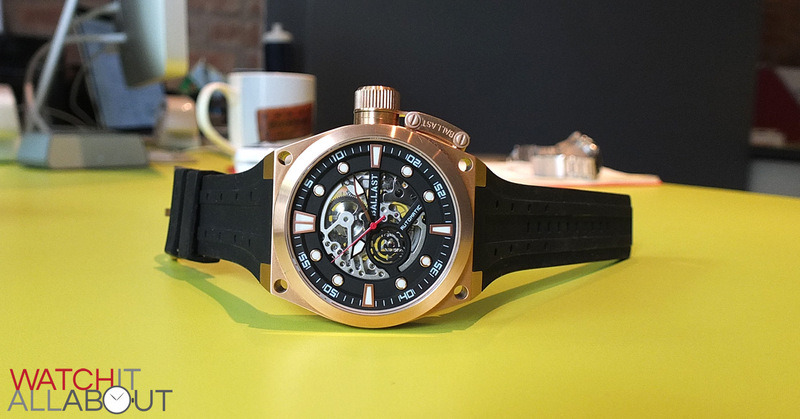 The strap is very well designed and executed. 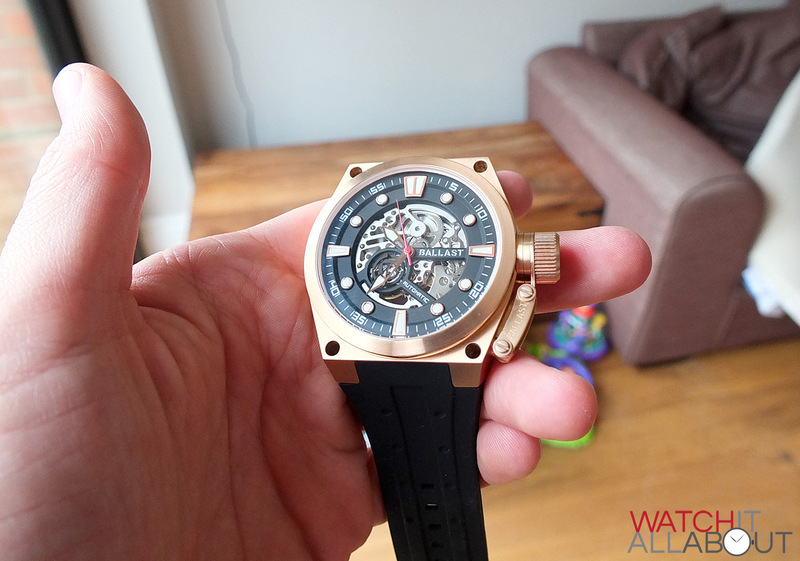 I like it when you have a rubber strap moulded to the shape of the case, much like an Audemars Piguet does. 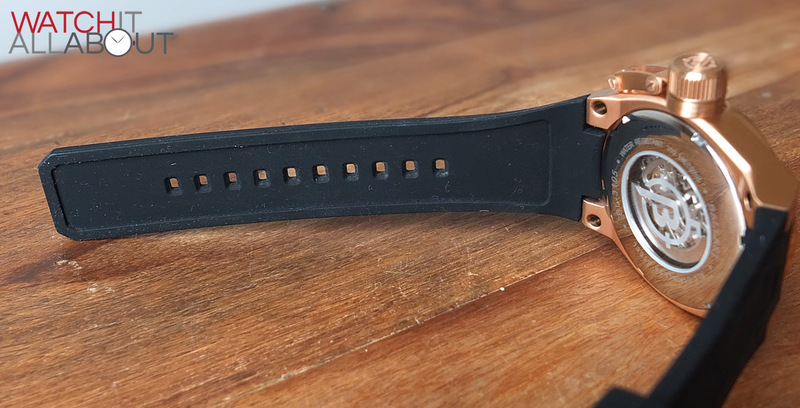 It’s a very sporty look, and due to the size of the case it gently reduces to the size to the buckle rather than having a massive case and then a larger step down in size to a normal sized strap, which would look stupid. 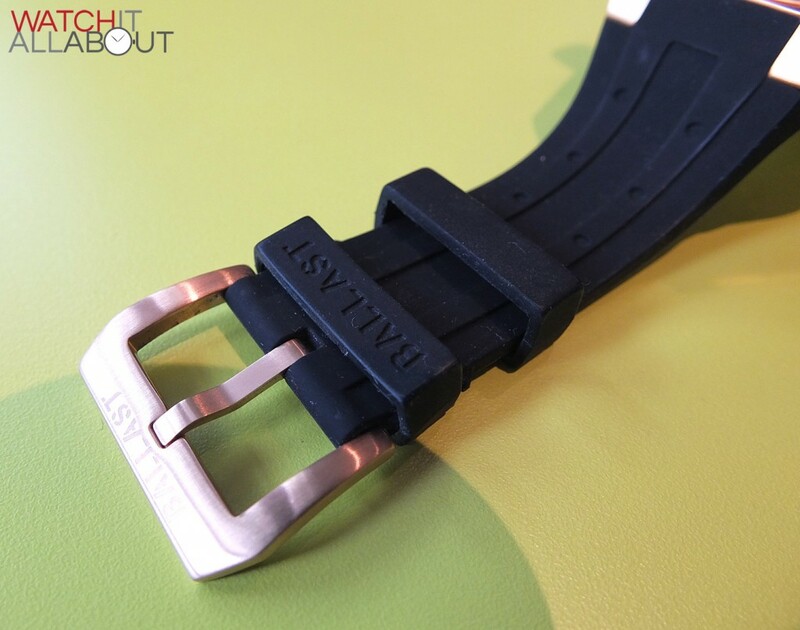 It isn’t a thin strap by any means, being a chunky 30mm wide at the buckle. 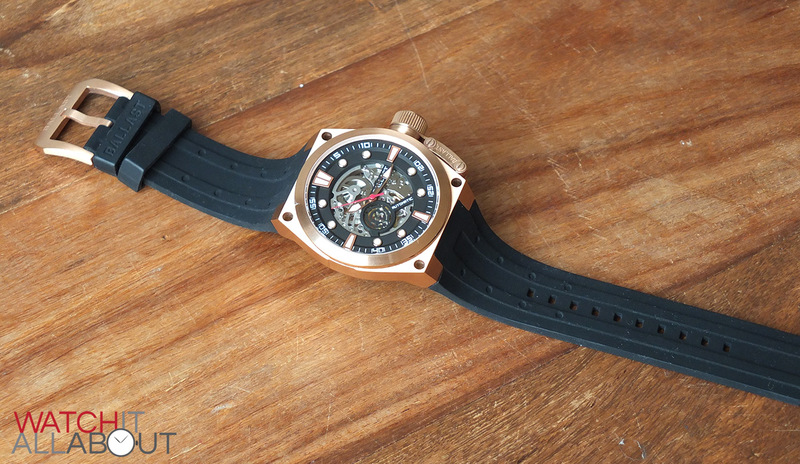 The rubber of the strap is very soft, resulting in a very pleasant and comfortable wear. 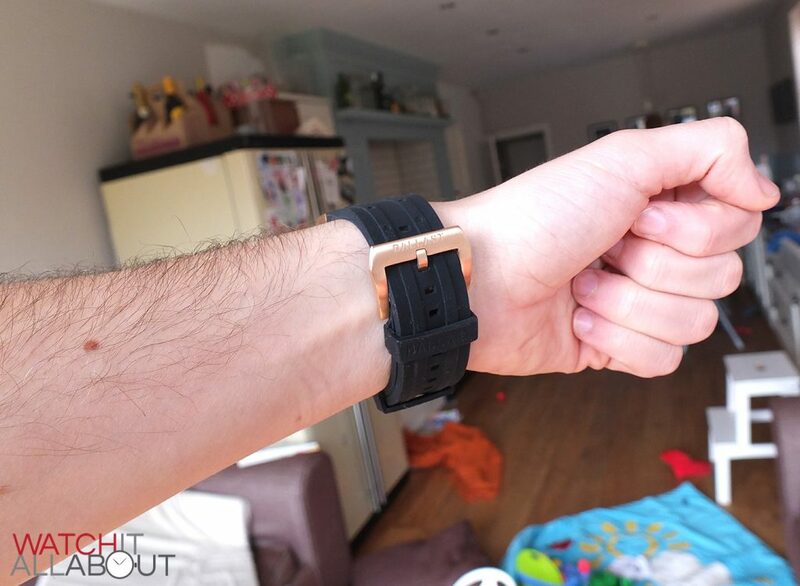 It doesn’t feel rough or squeaky on the wrist, and doesn’t irritate the skin after wearing it for some time either. It’s well designed too, with two channels running down its entire length, with 3 small holes in at the top end of each. This breaks up the large amount of silicon well and looks good at the same time. 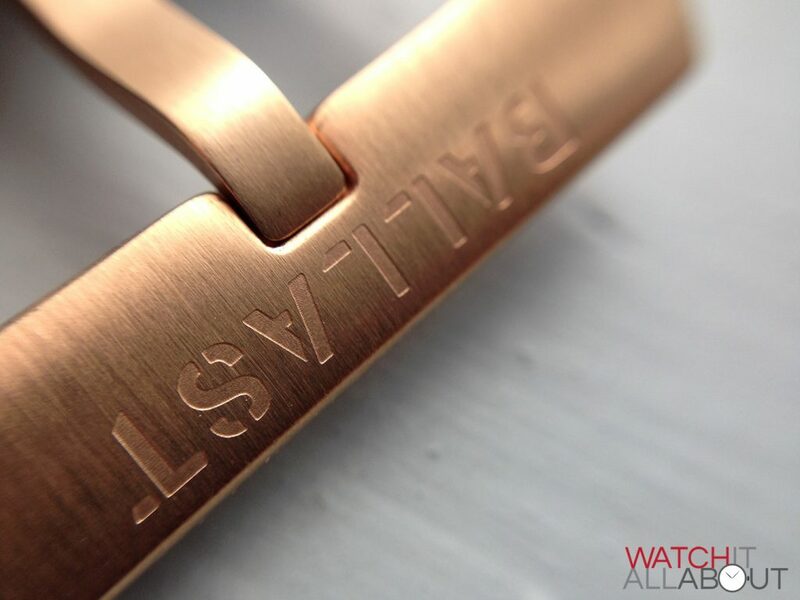 The buckle is large and is also gold plated brushed stainless steel, matching the rest of the case. It is well finished and has the Ballast name printed on the top. This engraving is deeper than your usual laser etching, however I think I would have preferred it to be engraved a little deeper. 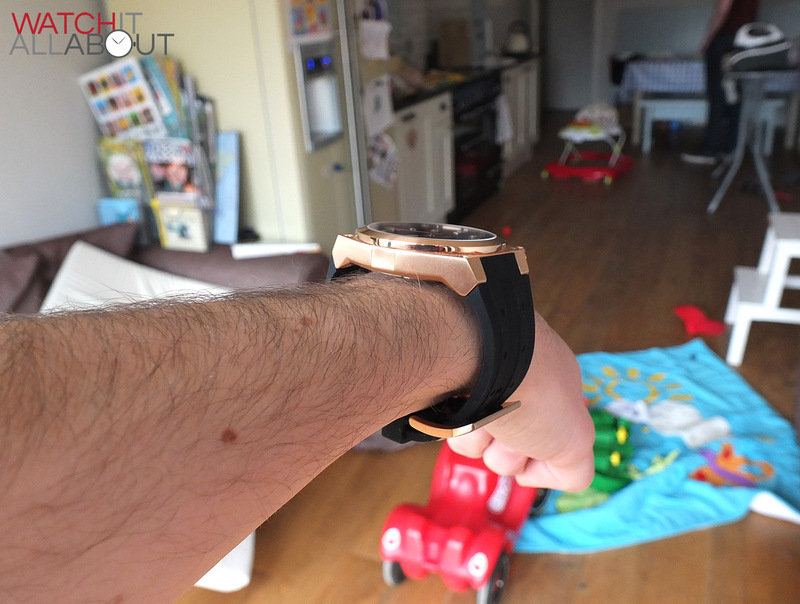 The strap as a whole is a very good aspect of the watch, and does it justice. 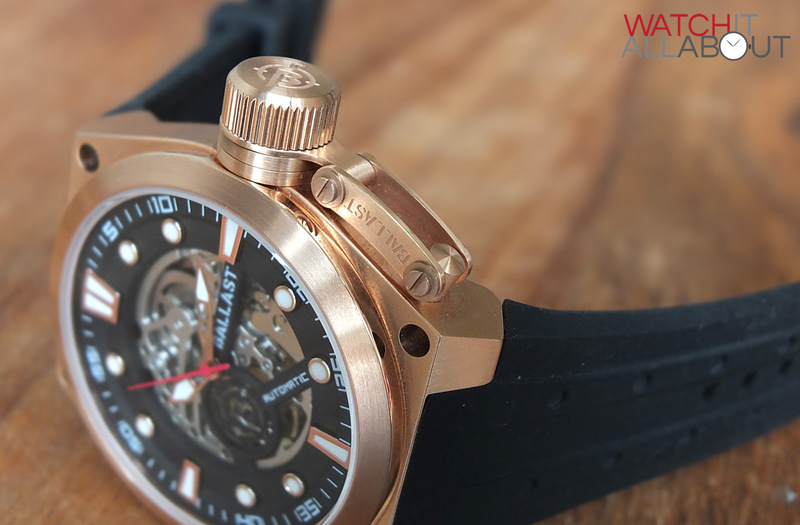 I’ve searched high and low to find out exactly what movement is in the Ballast 1903 Valiant. 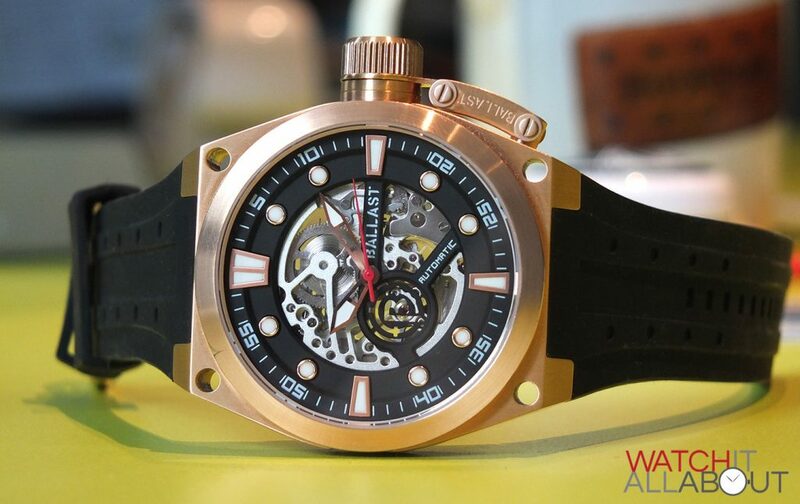 It appears to be made by a company based in Hong Kong called Swiss Tech, the movement being a ST1188-SK1. There’s very limited information on this manufacturer, let alone this movement itself. It runs at 21.6k bph, which equates to 6 ticks per second. It also features the usual suspects of a reasonable quality automatic movement: hacking seconds, hand wind and approx 40 hours power reserve. 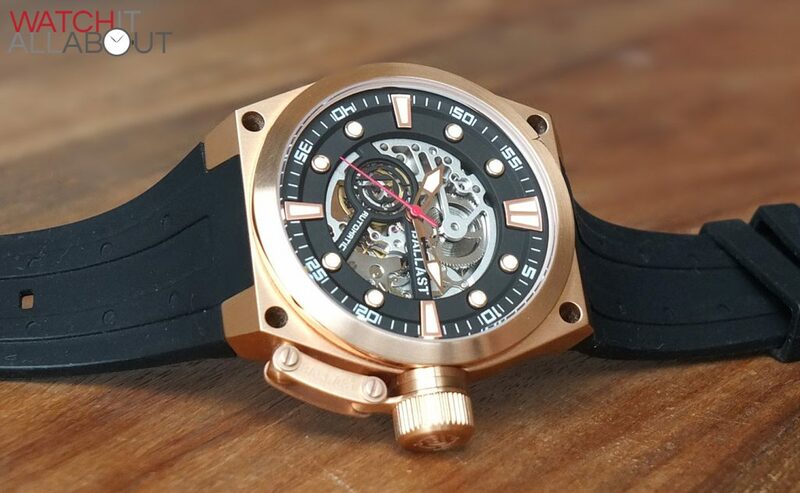 It does it’s job well, looking pretty good in skeleton form, albeit a bit plain – but I think the industrial look of the movement suits the watch well. 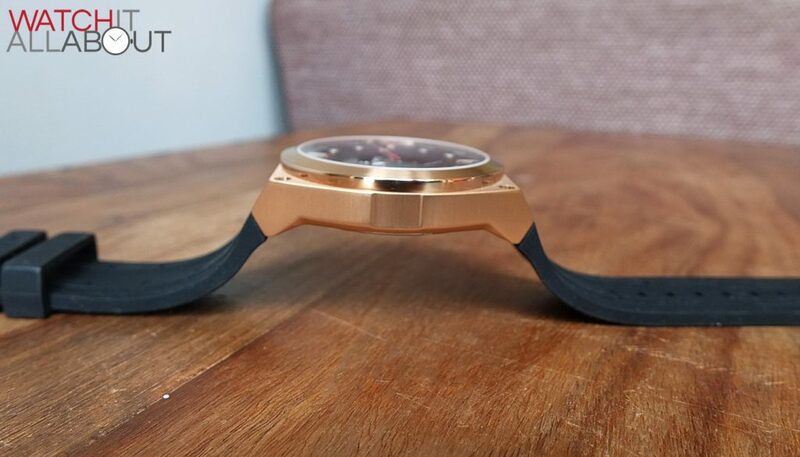 It keeps reasonably good time, and feels reassuringly sturdy in the hand whilst winding and changing the time. 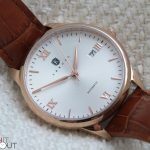 Only time will tell how good this not very well known ST1188-SK1 movement is though, and if it’s reliable in the long run. 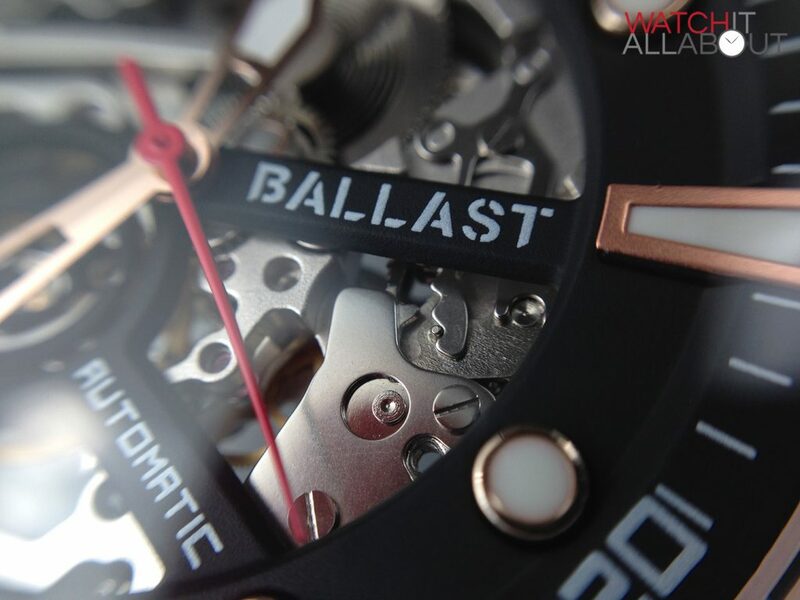 As I mentioned in the intro, the Ballast Valiant isn’t a watch for everyone. 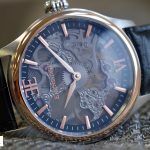 Some will feel that it’s a bit too large and brash, whilst others look for exactly what this watch offers – something that stands out. And it certainly does stand out. 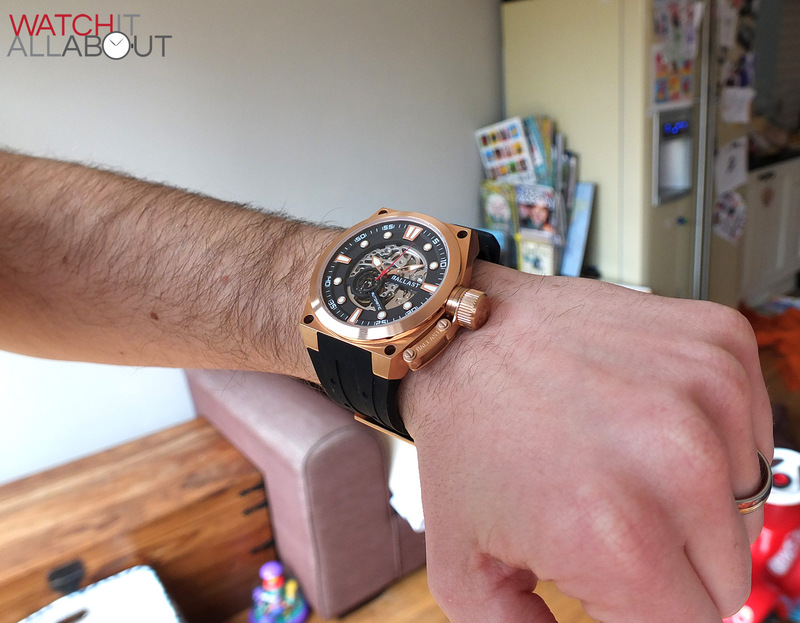 It’s very well made and finished and sits surprisingly well on the wrist for an oversized watch. Would I personally wear it? Probably not. But not because it’s too “bling” or brash. 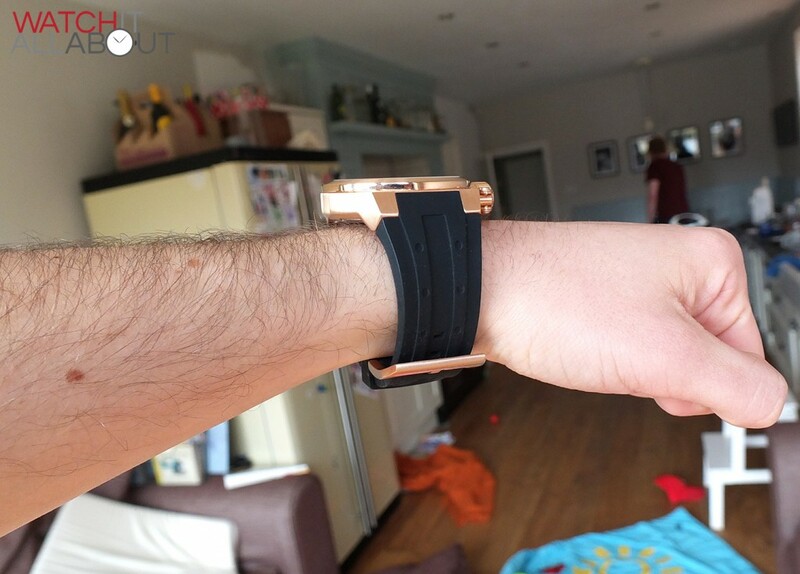 It actually looks pretty impressive and not gaudy at all on the wrist. But rather because it takes over size-wise a bit, and it doesn’t fit under any cuffs whatsoever. 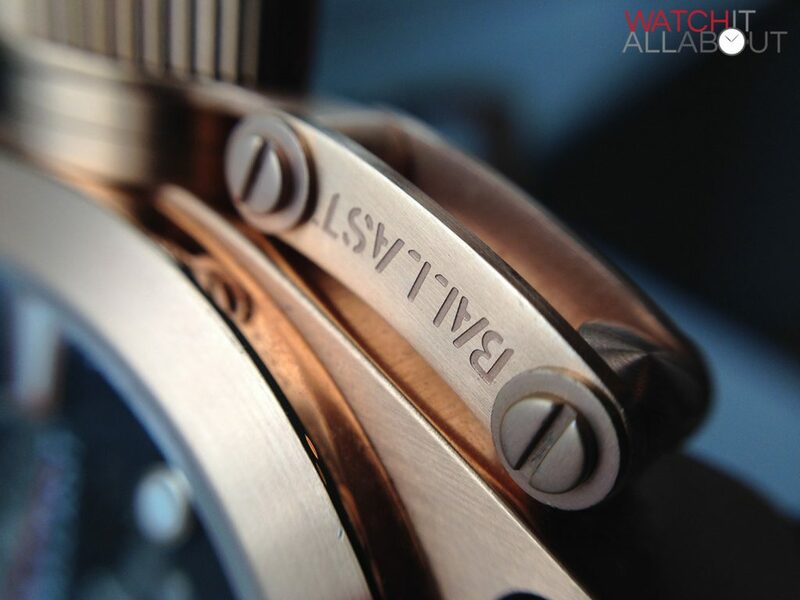 But I have a close friend who absolutely loves it, and it’s exactly what he looks for in a watch. So it really is a matter of personal taste. 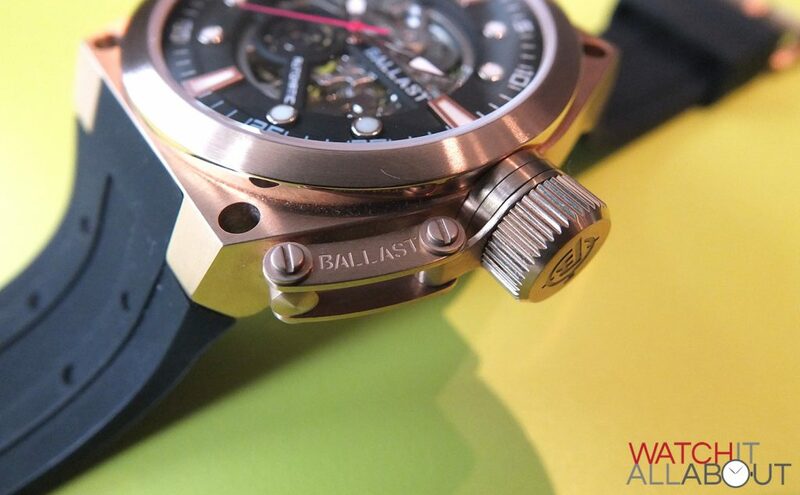 Ballast watches are overpriced, flea-market grade junk. They will not honor their warranties and their customer service are a joke. Good luck on buying one because it will not last long and you will be disappointed. By the way …They are made in China. You would be better off with a Timex . P.O.S.